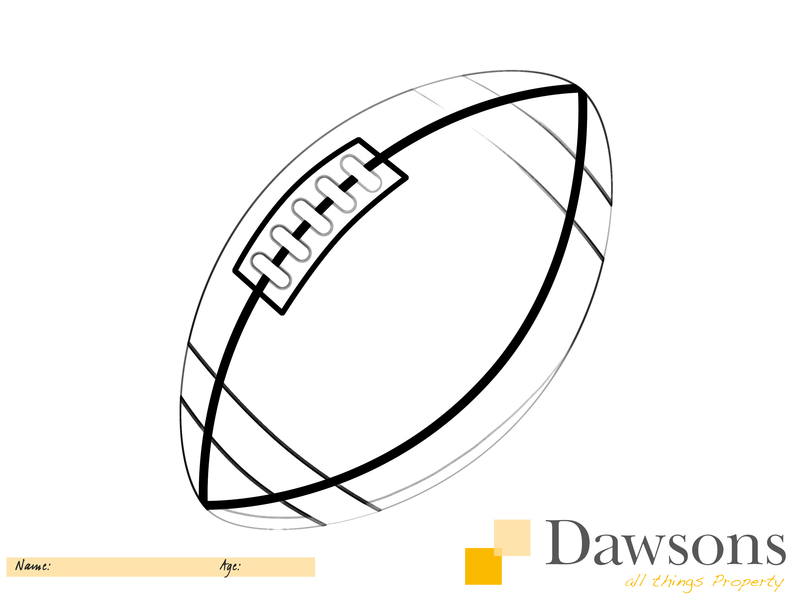 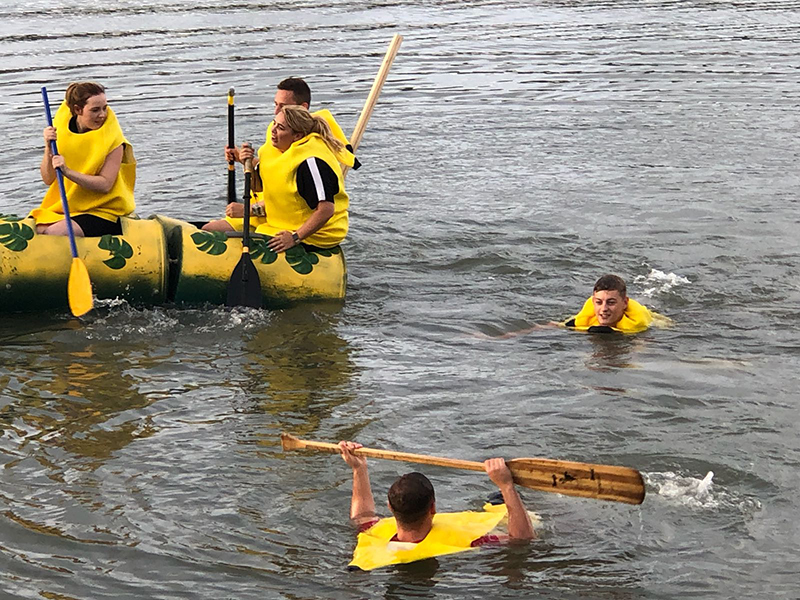 We hope that you are having an amazing Summer and that the slight drop in temperature this week has not affected your plans! 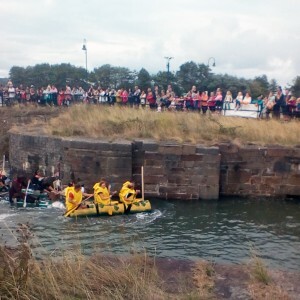 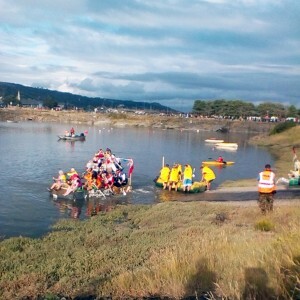 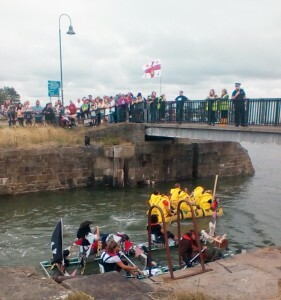 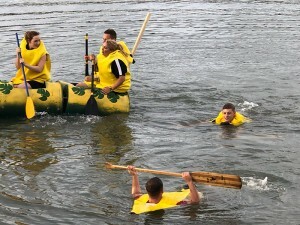 As you know, we had the Raft Race in Burry Port last weekend, and it was postponed from Saturday to Sunday, which caused us some last minute panic, but all turned out perfect in the end. 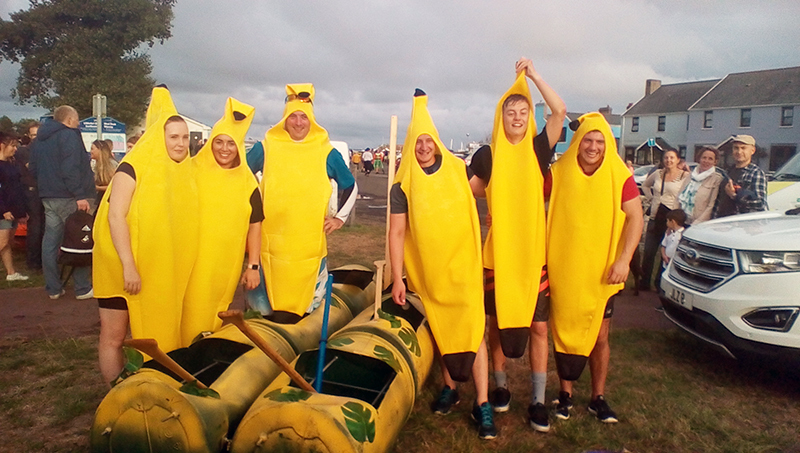 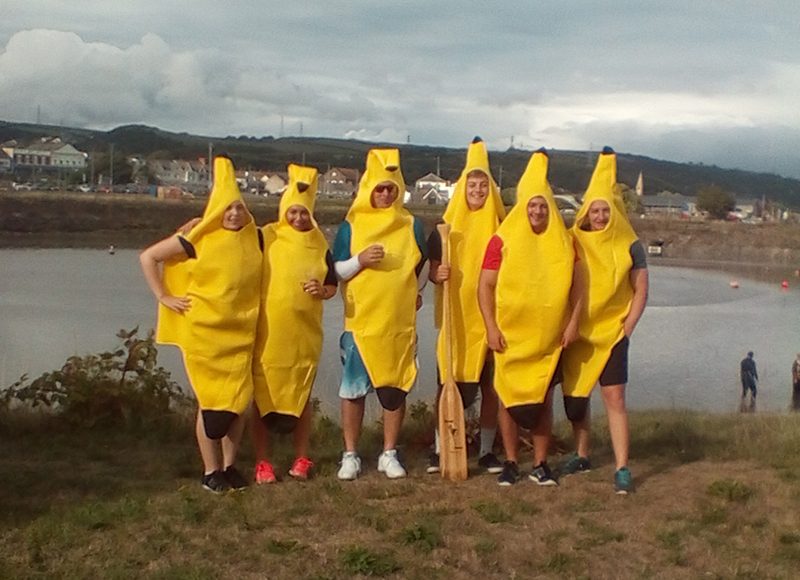 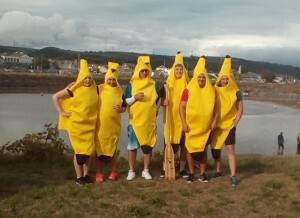 We had so many people say what a fabulous time they had and our team of ‘Paradise Bananas’ stayed afloat and managed a very respectable 6th place. 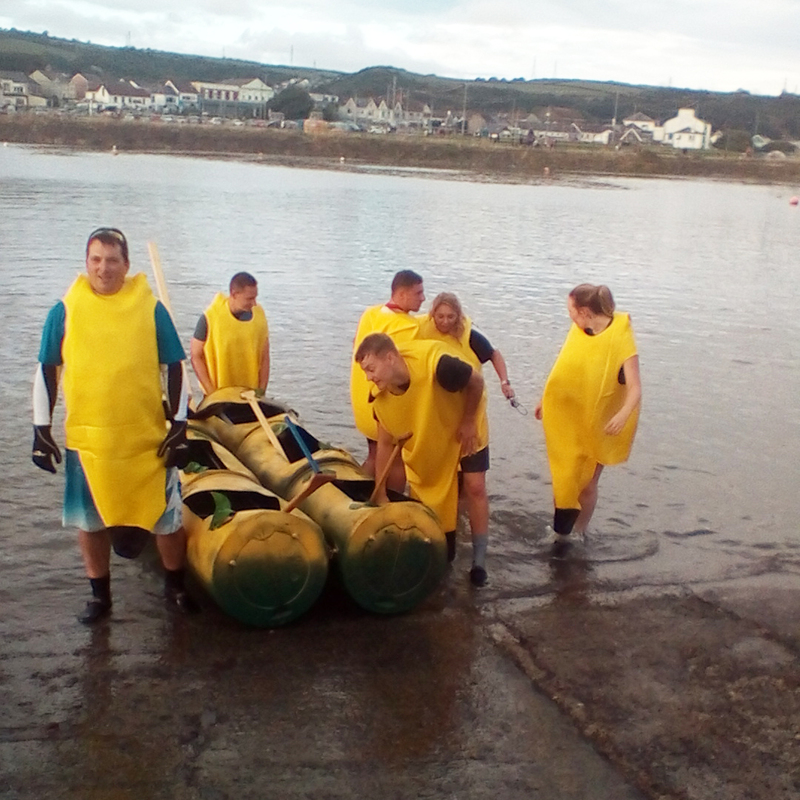 We were raising funds for the Burry Port RNLI and Afia Children’s Football Academy Foundation, so we are waiting on the final tally, but from the turn-out, we hope they have done well. 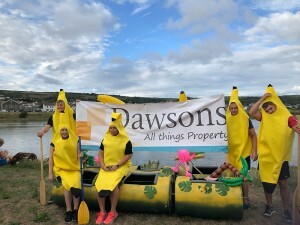 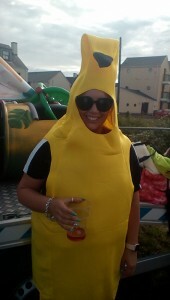 It is always amazing when staff happily turn up and volunteer for out of business activities in the name of community spirit, so huge thanks to our Dawsons team: Callum Joe, Matthew, Ian, Kim & Aimee in the raft and Naomi for all the organisation – Top Bananas indeed! 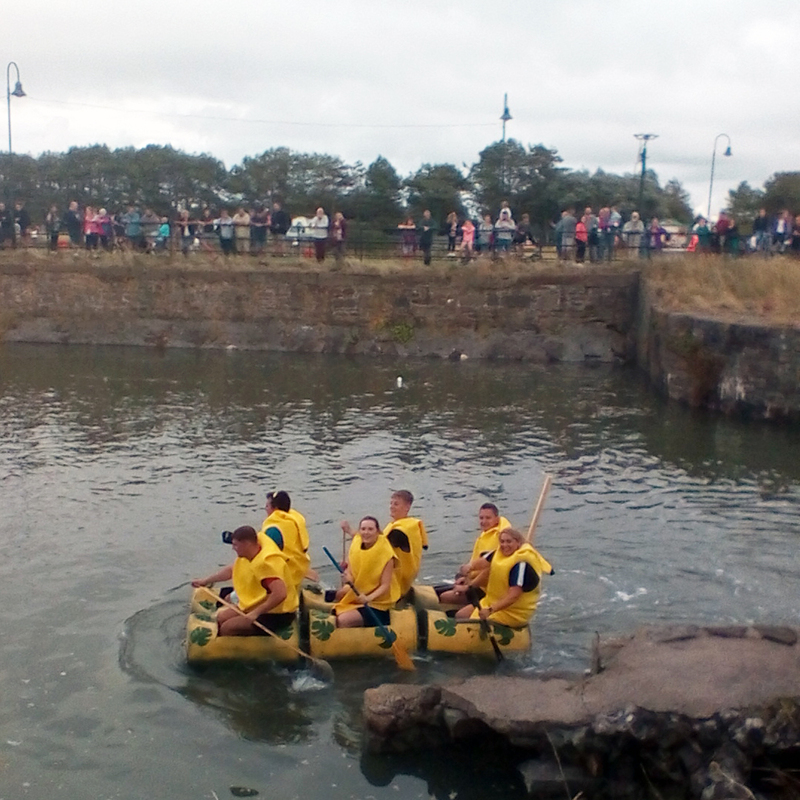 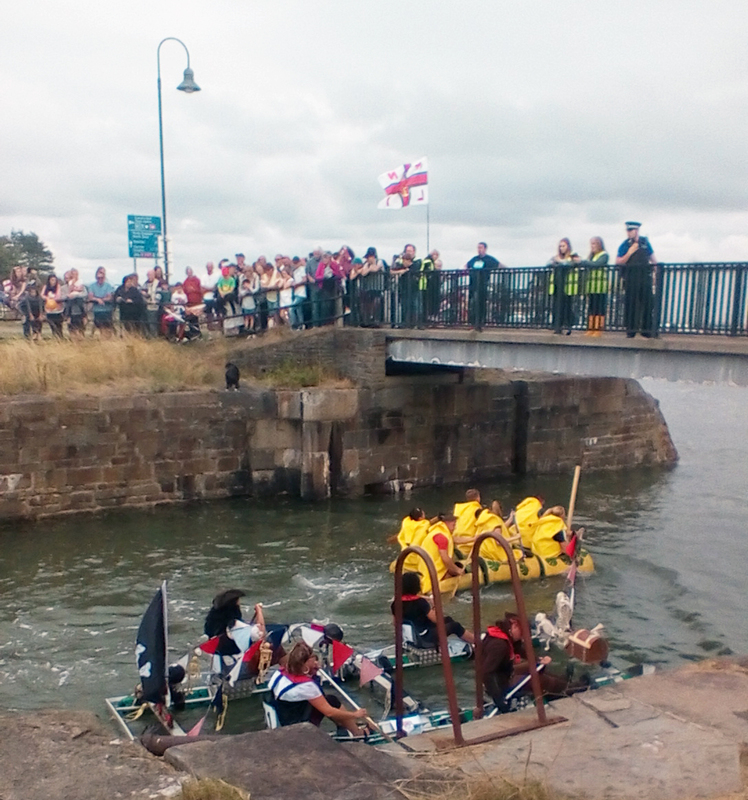 You can see the Burry Port Raft Race gallery of pics at the bottom of the page. 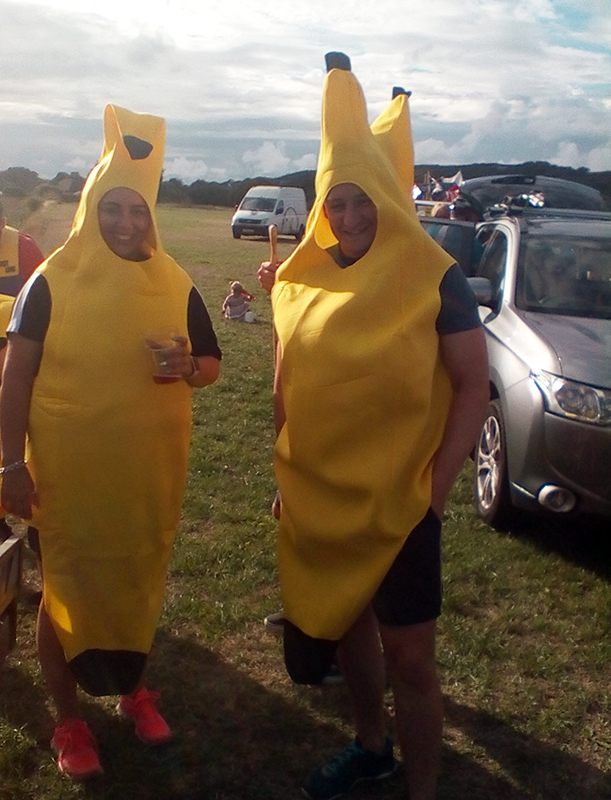 Hope they make you smile as much as they did us! 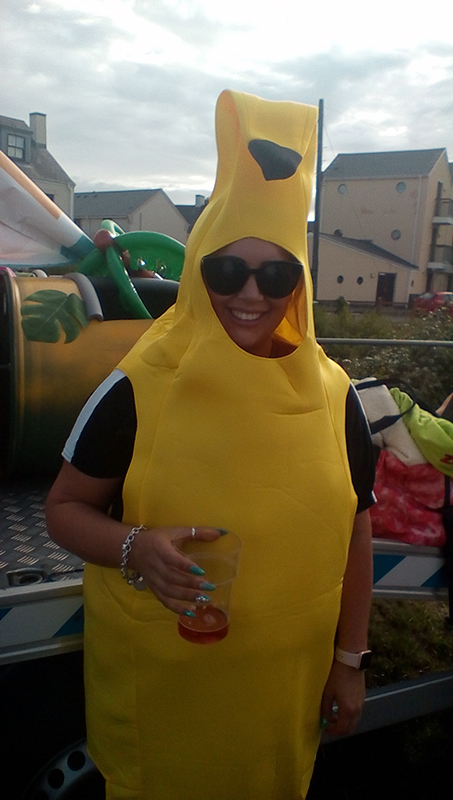 So what is coming up next weekend for your entertainment…? 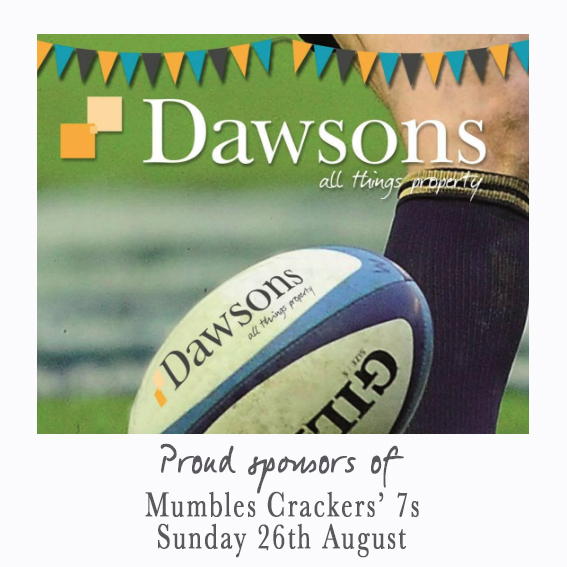 Crackers’ 7’s with the Men’s and Women’s tournaments running in parallel during the day. 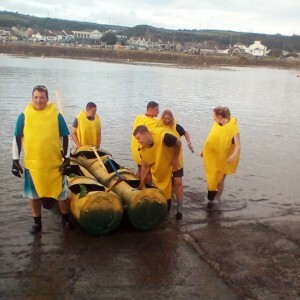 Please try to come along if you are local, and share this with your friends as you wouldn’t want to miss such a great event! 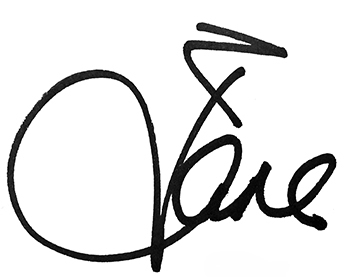 NOW please do not forget to show us your efforts!